Now in paperback, the inside story of "the greatest transformation of Microsoft since it became a multinational company" Marshall Phelps's remarkable eyewitness story offers lessons for any executive struggling with today's innovation and intellectual property challenges. 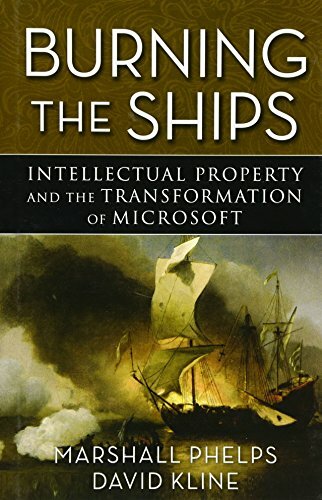 Burning the Ships offers Phelps's dramatic behind-the-scenes account of how he overcame internal resistance and got Microsoft to open up channels of collaboration with other firms. Discover the never-before-told details of Microsoft's secret two-year negotiations with Red Hat and Novell that led to the world's first intellectual property peace treaty and technical collaboration with the open source community Witness the sometimes-nervous support Bill Gates and CEO Steve Ballmer gave to Phelps in turning their company around 180 degrees from market bully to collaborative industry partner Offers an extraordinary behind-the-scenes view of the high-level deliberations of the company's senior-most executives, the internal debates and conflicts among executives and rank-and-file employees alike over the company's new collaborative direction There are lessons in this book for executives in every industry-most especially on the role that intellectual property can play in liberating previously untapped value in a company and opening up powerful new business opportunities in today's era of "open innovation." Here is a powerful inside account of the dawn of a new era at what is arguably the most powerful technology company on earth.